There is no situation where a heavier wheel is faster. It’s as simple as that, right? Well, no. If that extra weight derives from a deeper rim, the question is does the benefits of greater aerodynamics from the deeper rim outweigh the extra weight? Research shows that when riding for an hour at 20mph, the difference between shallow rims and the average deep-sections could be worth around 10 watts, or 30 seconds over that hour’s ride. Let’s assume the weight penalty is 1lb. Even on a tough gradient of 10%, the cost for the same rider is under 5 watts. There’s also the issue of co-efficient of drag (CdA), which is a dimensionless number that relates to an object’s drag force to its area and speed, and is altered by factors such as better bike position, bike fit and an aero helmet. 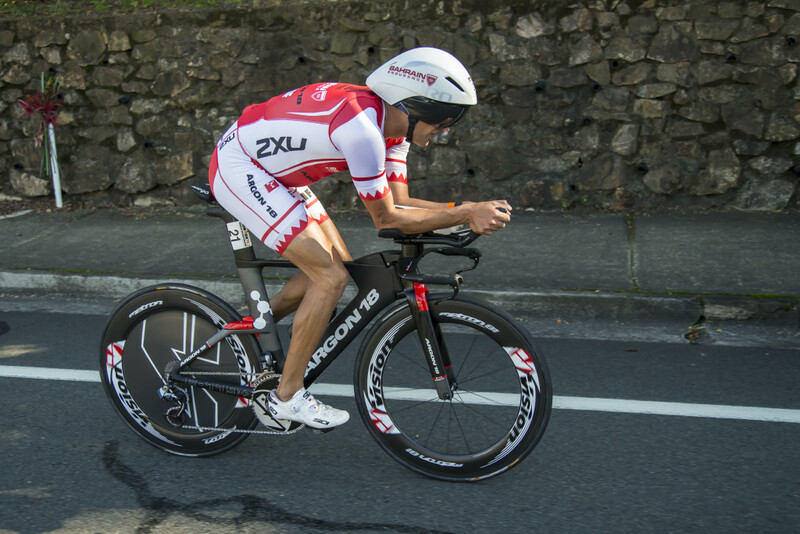 Statistics show that adding aerodynamic wheels can reduce CdA by 3-5% and that a rider generating 350w of power increases their flat speed from 44.6km/hr to 45.4km/hr. 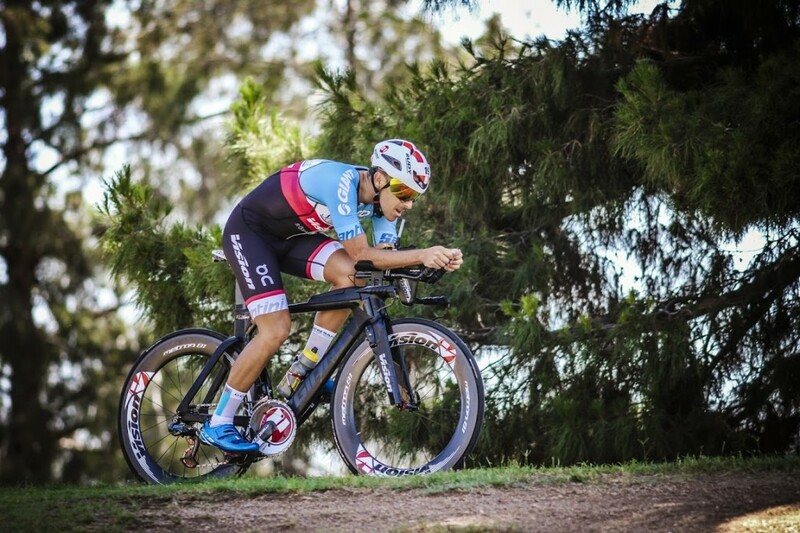 Further modelling suggests that the aero wheels powered by 300w uphill would have to weigh a combined 2,840g more than shallow rims to lose aero benefits at 2% gradient. However, this drops to 390g at 6% and just 50g for 10%. Let’s take that into the real world. 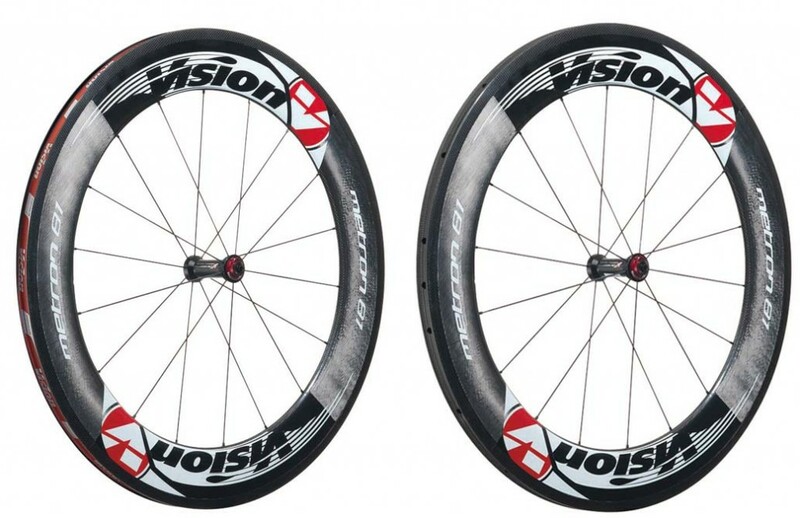 Vision’s Trimax Carbon TC24 shallow rims weigh 1,300g; while the Metron 81 deep-rim clinchers weigh 1,790g. That 630g wheelset difference means you should lose the aero rims at around the 5% mark. This matches further research that says aero trumps weight gains until an 8% slope for a WorldTour rider but drops to 5% for a recreational rider. Science shows that lower weight at the rim equals faster accelerations. Picture an ice-skater spinning on the spot with her arms spread out. She’s rotating around the mid-point of her body, which is the stationary part. Anyone who’s ever watched the Winter Olympics will note that she increases her rotation velocity by tucking her hands into her body. What she’s doing is decreasing the mass away from the center of rotation, which lowers inertia. In cycling, of course, this equates to the rim and the hub. Newton’s Second Law says the sum of all forces is the same as inertia multiplied by the angle of acceleration. So if inertia is high, it’ll require greater force to move. That’s why a puncheur like Vision and Cannondale-Drapac’s Jack Bauer would choose a shallower rim to sprint up a short climb. It’s also why many sprinters would also choose a shallower rim, those swifter accelerations potentially being the difference between success and disappointment. Ultimately, shallow-section rims, such as the Vision Trimax TC24 (as the name suggests, it features a 24mm-deep rim), come in at 1,300g per pair while the deeper-rimmed tubular Metron 81s are only 1,550g. Where shallower rims might have the upper hand over deeper rims is flex. A metal-spoke, deeper carbon-rim will flex slightly more than a shallower rim, which might show up more with heavier riders. So if you’re over 80kg and facing an undulating route, there’s a case that shallower rims will transfer power more effectively than deeper rims. Check out our accompanying Tubs Versus Clinchers piece, and tire features – here for Tri/TT and here for Road.